The perfect gift for someone special! 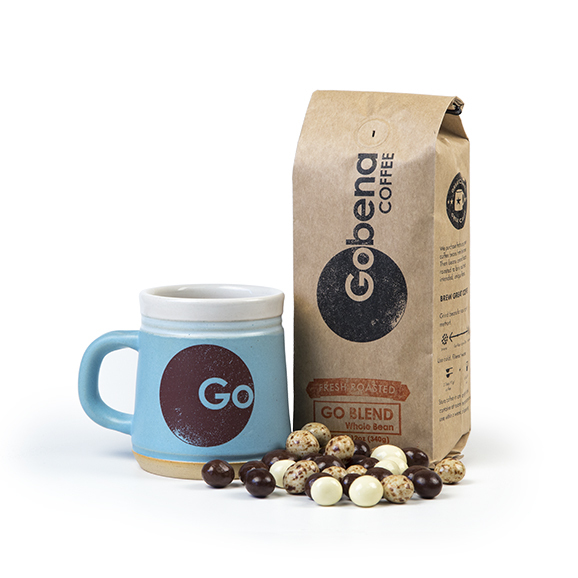 This gift box which includes: a handmade 12 oz Gobena mug that is microwave and dishwasher safe, a 12 oz. bag of your favorite coffee, and a bag of delicious chocolate covered espresso beans all packaged in our hand-stamped gift box.